Ooooh-ahhhh! Your shirt's so shiny. It's practically begging us to touch it! Forget about gazing up at the ceiling to catch a glimpse of the rotating disco ball, because your shirt will mesmerize the masses. Created with a vision of the classic 70s staple in mind, a disco ball, you'll get noticed wearing this button-up because it's so flashy. Make sure you have amazing dance moves in your back pocket (figuratively speaking) since everyone's eyes will be on you throughout the night. 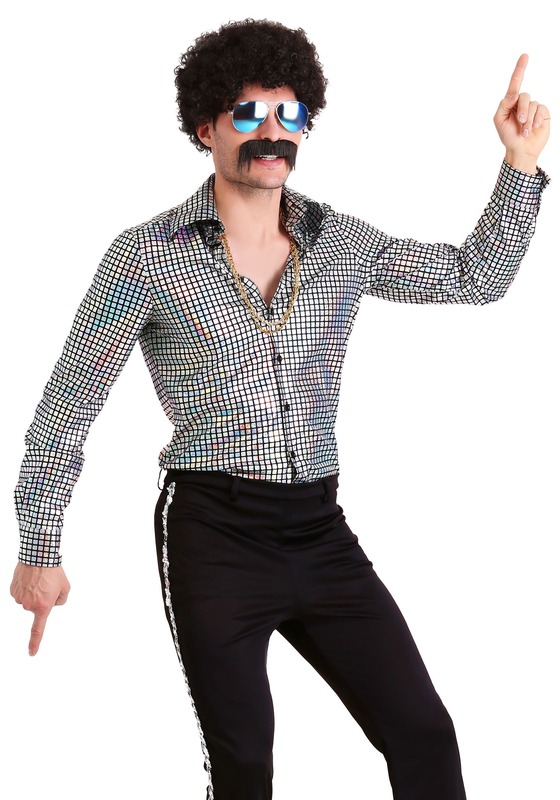 Point those fingers and swing those hips because the man who wears the disco ball shirt will instantly be the life of the party. Everyone will look to you for inspiration so show off those 70s dance moves. The men's disco ball shirt is a Made by Us item so it's high-quality and created from durable fabric. 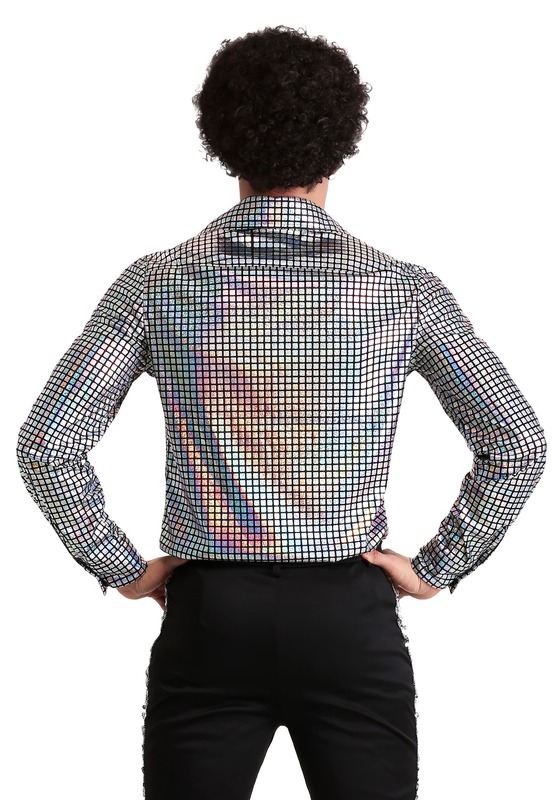 The silvery button-up, which features real buttons and a large collar, has an iridescent shine whenever the light hits it, just like a real disco ball! With the help of this Made by Us product, create a whole costume. 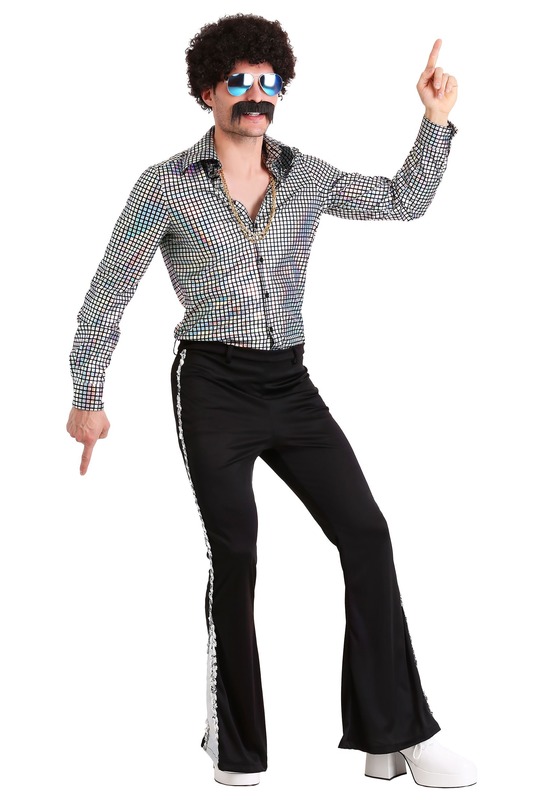 Pick up the coordinating bell bottoms, afro wig, mustache accessory, and aviator shades.